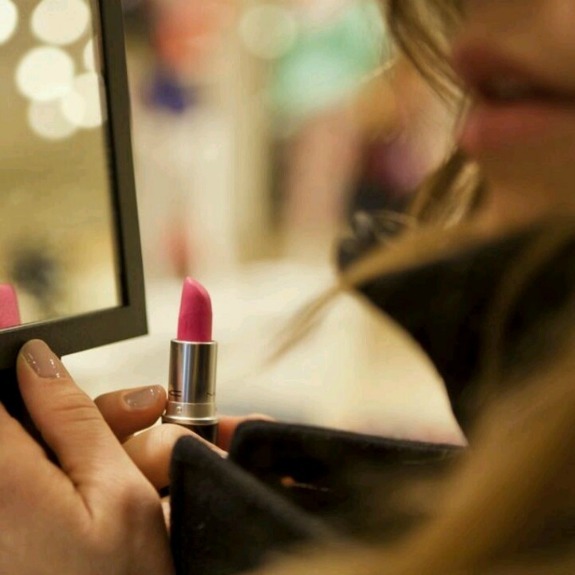 My latest beauty obsession (and obsession, in general) is MAC's Candy Yum Yum lipstick. Yes, it's nearly neon. Yes, it's intense. But I seriously can't get enough. If you've been reading this blog any length of time (or just since last week, actually) you know that I love bright lipstick. This color is so saturated and matte it stains my lips when I take it off. I'm also really fond of the bright coral in Nicki Minaj's Viva Glam collection. What color lips are you loving right now? 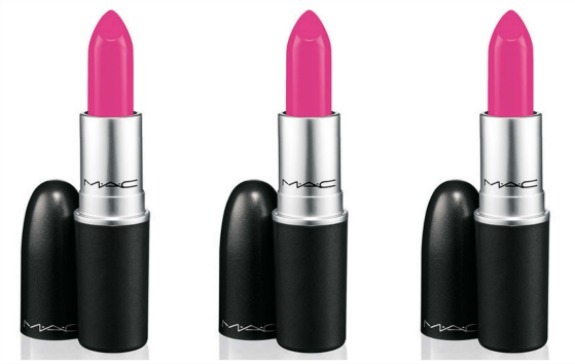 black and pink is such a classic combo...and Ive always wanted to try Mac lipstick, just havent had a chance yet! I really want to try that lip color, since it is so in right now, but wow... that's wayyyyy out of my comfort level! You are totally rocking it though! I need to try this out. I love bright pinks! I really like the Revlon Love That Pink you recommended to me. At an event I recently got a sample of a really bright pink like this and was surprised how much I love it. you can pull it off SO well. these are just the inspiration I Need. I love how you managed to find a necklace and two bracelets that match your lipstick almost perfectly! :) Again, you look beautiful. Uh oh, now I'm tempted to give it a whirl. The color is divine! If you're interested, I'm hosting a giveaway for a Gerard Yosca necklace from his upcoming collection. (It's worth $245!) Enter here.